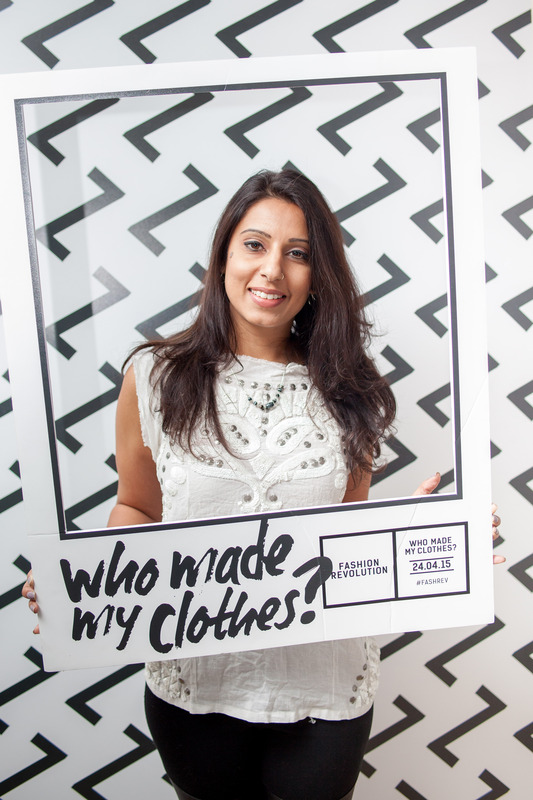 On World Fair Trade Day, May 9, plenty of fashion companies are sure to use the hashtags #FairTrade and #WFTDay to promote their business model, toting their ethical supply chains or charity-through-commerce initiatives. But when it comes down to it, “fair trade” is fairly fuzzy as it pertains to the fashion industry. Whether it’s manufacturers, designers, or retailers, there’s plenty of regulatory gaps throughout this tangled, globalized Web. In the United States, some food products and ingredients are certified fair tradeby Fair Trade USA, a nonprofit that acts as a third-party certifier of U.S. companies’s products produced overseas. Fair Trade USA primarily certifies agricultural goods, but in 2010 it extended its audits to cotton goods and apparel. So far, a handful of apparel companies are certified, the only popularly recognizable one of which is Patagonia, the sporting gear company. Then there’s Fairtrade International, whose main work is also in agricultural products save for gold, and unprocessed seed cotton used in jewelry and apparel. Finally, the Fair Trade Federation serves as a link between American and Canadian members and certified suppliers in the developing countries of Africa, Central America, South America, the Caribbean, and Asia. Unlike the two organizations previously mentioned, the Fair Trade Federation (FTF) certifies wholesalers of handmade products and retailers working directly with producers, in addition to wholesalers of commodity products. Retail members of the FTF must source at least 85 percent of their inventory in accordance with Fair Trade Federation principles and wage standards. Many of these retailers sell gifts, clothing, and handmade jewelry. Participation in all of these certification programs is voluntary. Companies that get certified are allowed to display a label on their products, signaling to the customer that they are “fair trade.” As for fashion and apparel specifically, there exists no international regulatory body or nonprofit. The fair trade label, while comforting for a customer, often doesn’t truly take into account the human element. 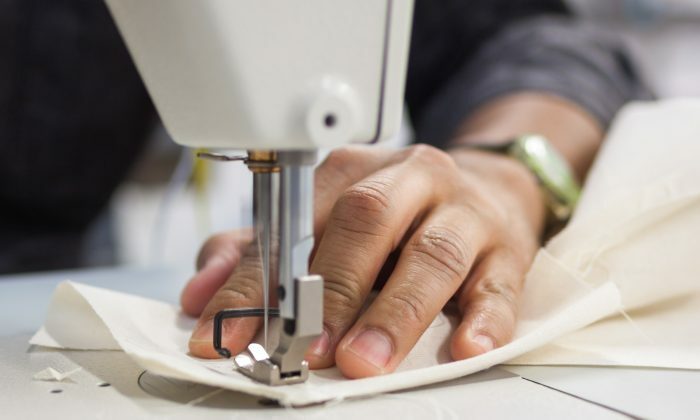 Toronto-based Adila “Dee” Cokar sources manufacturing overseas for small- to mid-sized North American designers through her firm Source My Garment. Her clients include companies that design and sell organic baby wear, maternity wear, and women’s fashion. At least once a year, she travels to India or Vietnam, where most of the vendors are located. In her travels interviewing various suppliers for her clients, Cokar has seen factories certified as fair trade where bosses treat workers with disrespect. Part of the problem, she says, is pressure from buyers. Larger firms can throw their weight around and refuse to pay with the excuse that the wrong order was produced or that the quality is poor. The reason for net-30 being a common practice is two-fold. A buyer may want to be assured of a product’s quality before paying, and so negotiates to pay only after a product is shipped. In other cases, a manufacturer may be desperate to get business and voluntarily offer to delay payment. In other words, unless there exists an across-the-board rule that requires a down payment, there will always be some factories desperate enough to risk the future income of its workers. When the risk fails to pay off, it gets really difficult for a factory to be able to retain workers. “I’ve seen factories that had to shut down because of this,” she said. “That’s why it’s important to pay 50 percent up front,” she said—which is what Source My Garment requires its clients to do. Another problem Cokar discovered as a sourcing consultant is that many North American design firms work through agents who connect with other agents in the supply country. These layers of middlemen distance the buyer from realities on the ground where their goods are produced. Yet the supply-side agent may not even know whether the final goods end up being produced in the selected factory—when a factory gets busy, it might outsource orders to other factories, and those other factories might not follow the labor standards desired by the buyer. It’s a common problem, especially for high-volume retailers. In a recent episode of Last Week Tonight, host John Oliver lampooned the fact that several of Wal-Mart’s clothing orders had been found to come from unauthorized sweatshops—factories that took Wal-Mart’s orders without the company’s knowledge. As satisfying as it may be to put the blame on the big box chain for not doing its due diligence, it would require a huge amount of vigilance and relationship building for any company, big or small, to be sure of its supply chain when so much of it is thousands of miles away from headquarters. Before manufacturing, there’s designing—and that’s a segment of the process that’s fraught with challenges too. In France, the home of couture, designers enjoy laws prohibiting the copying of trademarked fashion designs. In the United States, however, intellectual property laws do not cover fashion design. Introduced to Congress in 2007, the Design Piracy Prohibition Act (DPPA) would have amended the Copyright Act to include fashion design. The bill was reintroduced in 2009, and again in 2011. The now-dead DPPA was followed in 2012 by The Innovative Design Protection Act (IDPA), introduced by Sen. Chuck Schumer of New York. Interestingly enough, designers, who we imagine to enjoy lives of glamour, are also not immune to being paid late. Unfortunately, it most seriously affects smaller designers without a big brand or a lot of clout. A Business of Fashion article talks about young designers going bankrupt due to retailers giving them the squeeze. “One internationally known London-based concept store has reportedly been asking designers to pay on ‘net 60 days’ terms (and then stretching this out to 75 days), while others have been asking young designers to sell to them on consignment,” the article reads. So the stores pinch the designers, and the designers pinch the manufacturers. That’s a lot of bullying via payment terms—a phenomenon that happens throughout the fashion supply chain but is invisible to shoppers. Why Would Jean Paul Gaultier Want People to Shop H&M? In a recent interview, Gaultier gave an unexpected endorsement to the very opposite of haute couture—fast fashion. It's Earth Day, a good time to remember low-wage workers in impoverished countries such as Bangladesh who sew fast fashion.